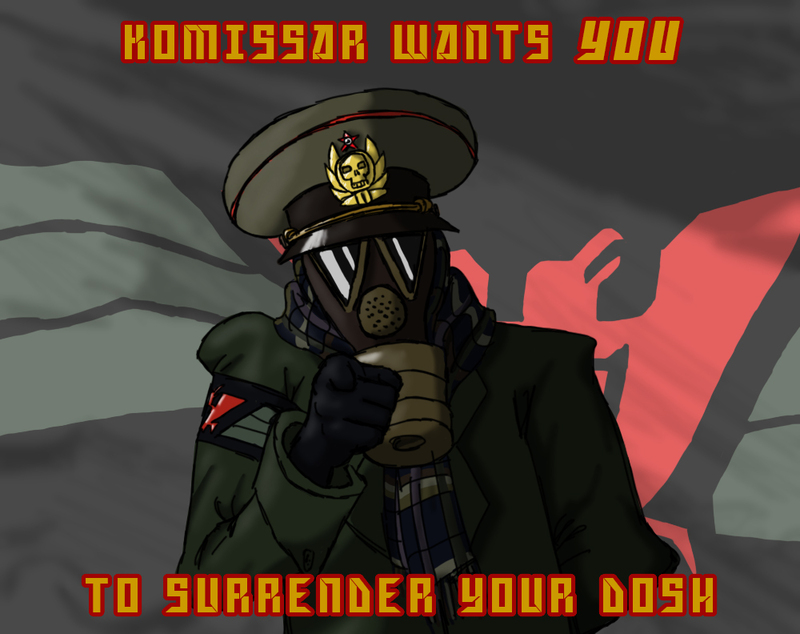 Komissar wants YOU to surrender your dosh! I decided to have some fun with my commissions list, and drew some propaganda! I may or may not have used Uncle Sam and an American flag for reference.